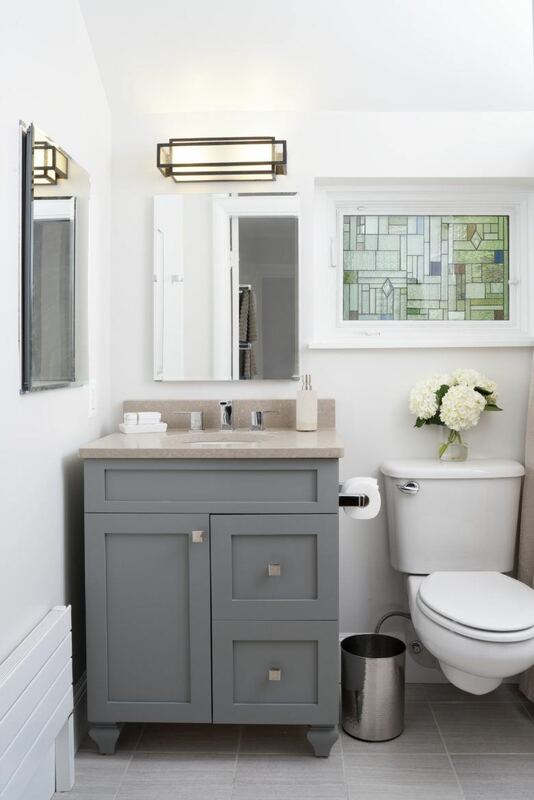 Our client asked us to transform her dated 50’s era master bathroom into a timeless and serene retreat. 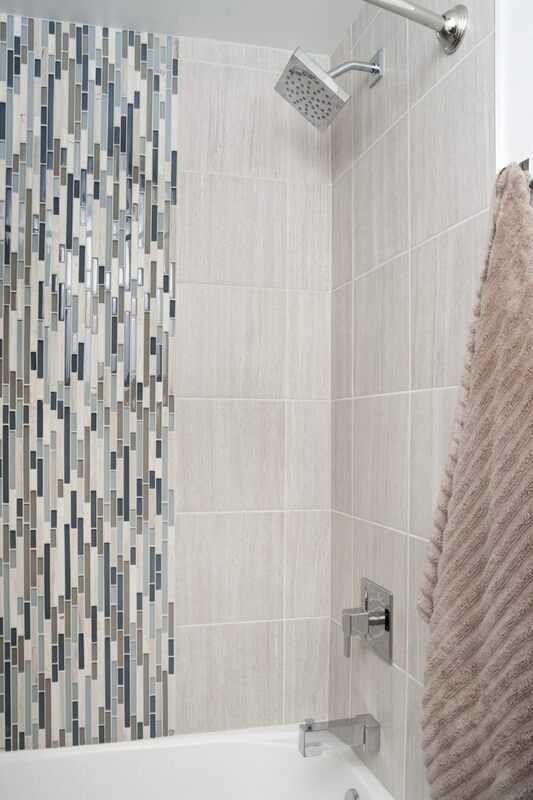 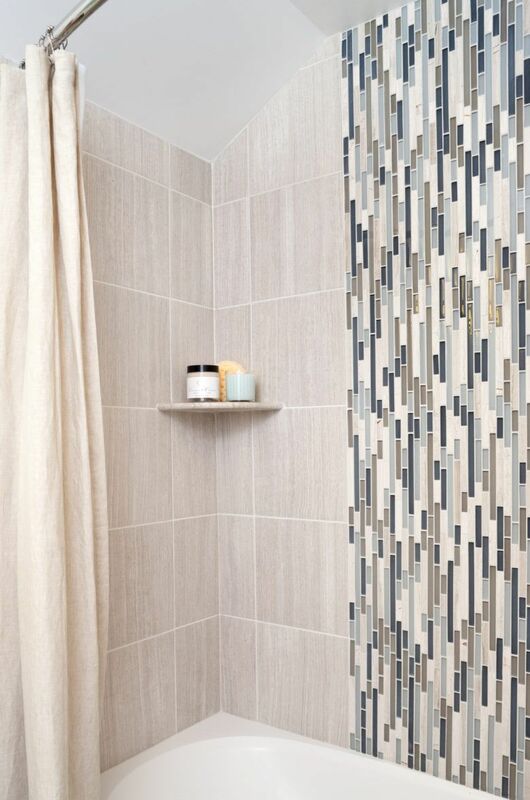 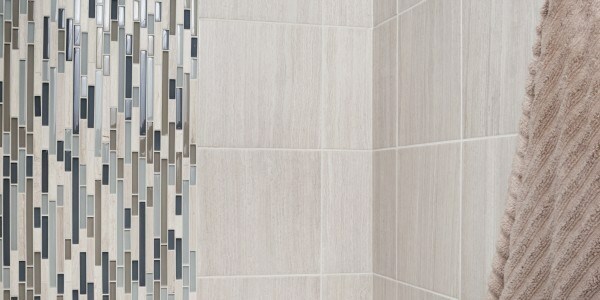 We selected a natural stone-inspired porcelain to add warmth and installed the same tiles on both floor and walls to make the bathroom feel more spacious – the vertical accent tile also lends height. 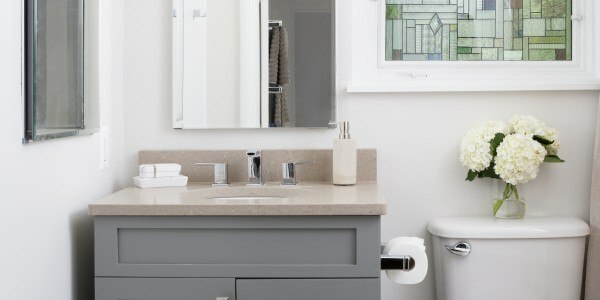 The custom furniture style vanity provides the client with much needed drawer storage and the Shaker style doors complement the clean and simple design. 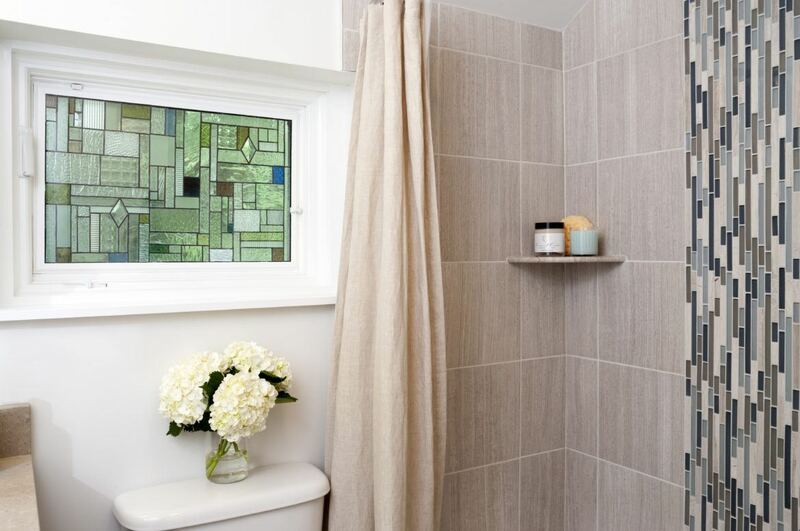 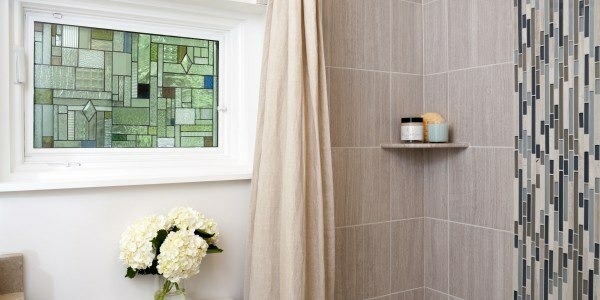 The centerpiece of the bathroom is the unique handmade stained glass window which was customized with beautiful textured and colored glass.